For those of us well entrenched in the wine world, the professional scoring system has always been a bit of a double edged sword. 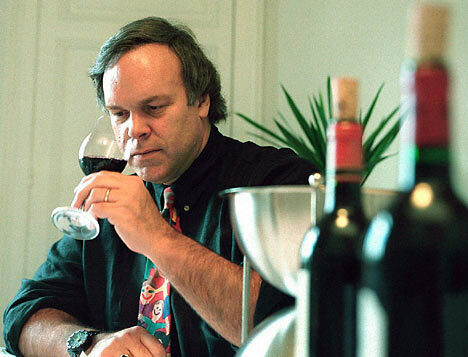 One the one hand, the scoring of wine on a 100-point scale from the likes of Robert Parker, Stephen Tanzer or the critics of the Wine Spectator have lead to great improvements in the industry. Wine consumers have been drawn to drink and collect wines that they otherwise may not have been introduced to. Obscure or small production wines from all over the planet have been able to gain some recognition because a prominent critic noted their efforts. For many, finding a trusted critic to help navigate through the seemingly endless number of wine choices is an invaluable tool in making purchases. However, as we all know, the scoring system has created great controversy. 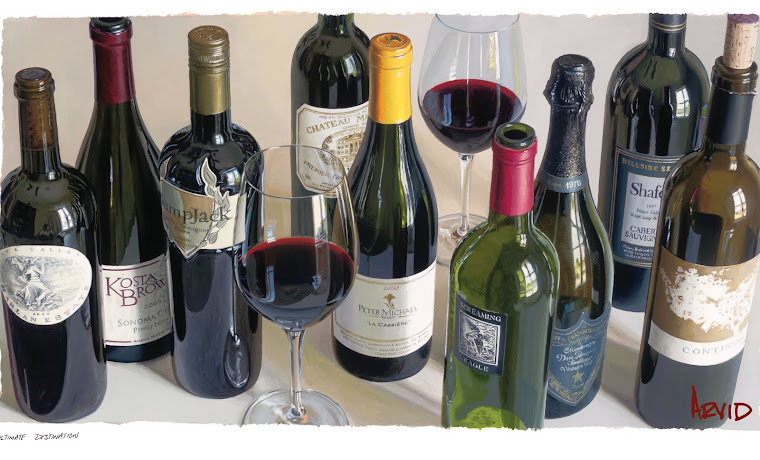 Many complain that too many wineries have "Parkerized" their wines, meaning that they create wines in the heavily extracted, fruit laden style that Parker seems to score most highly. Others complain that only a small fraction of the world's wines are reviewed by the most prominent critics which affects the demand and pricing of wines reviewed and not. For me, I try to read all that I can. I'm interested in the opinions of the amateurs and the professionals alike. But, most of all, I am interested in the opinions of my clients and friends. After all, they are the ones that matter to me most. I don't care what score a wine received if it bombs at one of my tastings. Unfortunately, I can never quite be sure that my clients and friends are giving me a 100% complete and honest opinion of a given wine. Some people don't feel comfortable criticizing a wine or don't want to be perceived as ungrateful of my efforts. Despite my pleas to not spare me on the truth, I just can never be sure I know exactly someone's opinion. Throw in other factors like what food is being consumed with the wine, the time of day or a person's mood and who knows what score a regular consumer would offer on any particular wine. So, I have a secret method of scoring wine. It's a crude device, very unsophisticated. But, it tells the truth. Like a blinding light on a torture subject this method gets people to tell the truth and nothing but. 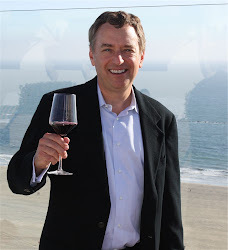 What is this unfailing, unflappable wine reviewer? It's the bottle of wine. Simply put, when I open a bottle, the good stuff goes quickly, the mediocre stuff slower, the lousy stuff hardly at all. Rather than score wine on a 100 point scale, I'd like to put a timer on how long it takes to get from the top of the bottle to the bottom and rate wine accordingly. I know, I know, I can hear you from here, this method doesn't account for the the number of people drinking, their drinking habits, how festive the evening is, etc. However, I think I can control for all of those factors in my head. I know how my friends and clients drink. I can tell by the amount they drink, not only from the bottle but from the glass as to how they are enjoying the wine. I look for other non-verbal clues as well. Like bad poker players, most wine drinkers have "tells". When someone closes their eyes while sipping or smiles or nods their head after swallowing, something good is happening. Frowns, squints and quizzical looks mean the wine is in trouble. What does this mean to you? If your the type to open wine with a loud pronouncement of a score or the price, stop! Sit back and watch your guests and how they react to the wines you serve. Watch how quickly the wine disappears and look for the non-verbal tells as they consume. Rather than trying to convert your guests to thinking your wine is great, see what is disappearing the most quickly and serve that wine repeatedly. I'm involved in several wine groups. In one of them, most of the attendees bring very expensive French wines to each meeting. Sometimes, I make it a point to bring something which costs considerably less than the average bottle not to be cheap but to see if the wine's greatness will be appreciated despite the lower cost. I'm happy to report that when the wine has been excellent my group has said so. More importantly, my trusty barometer never fails. Despite there being much more expensive wines in the mix, my bottle is usually amongst the first to be drained. In the end, wine is to be consumed and enjoyed. If your guests are inhaling the stuff, you've done them a bigger favor than any wine critic could ever do.